NAI Austria stands for real estate expertise and market knowledge, trust and discretion. Our company philosophy is the foundation for both our and your success. We focus on long-term customer relationships, based on trust and loyalty. We offer the highest level of professionalism, profound market knowledge and, in particular, discretion. Together with our team of experts, we create value-enhancing concepts in the most diverse areas of the retail estate industry. We score high in terms of specialist knowledge, tailored solutions and integrity. Our range of products is extensive: Selling, renting, construction management, evaluations, research, investment management, property and asset management as well as corporate finance consultancy. 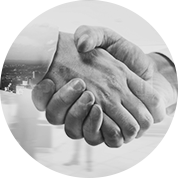 We offer the highest level of consultancy and support services with the aim to build trusting and long-term relationships with our clients for the best-possible mutual successes. Benjamin Soukopf studied business administration with a focus on structured products, complex derivatives and economics. 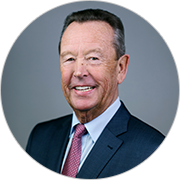 He first experienced the world of finance whilst working in asset management which led to a ten-year career in banking. Most recently, he has been focussing on national and international project financing strategies as well as dealing with all related structuring and transactions. 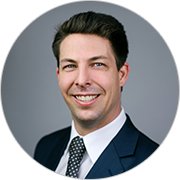 At NAI Austria, Benjamin Soukopf is responsible for corporate finance, and dealing with larger transactions in Central and Eastern Europe. Helmut Binder draws on decades of experience spanning various areas. 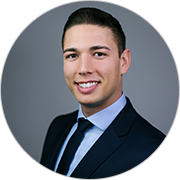 His career in real estate began with the position of insurance broker for commercial properties, where he gained a sound knowledge of the real estate industry, which he has been expanding ever since. In the past 25 years he has chosen to focus on consulting. He has supported a wide range of companies with their real estate projects, with a particular focus on helping them find the ideal structure for their project finances. At NAI Austria, Helmut Binder is responsible for restructuring property portfolios as well as finance structure consultancy. Matthias Schiel studied commercial law with a focus on real estate. 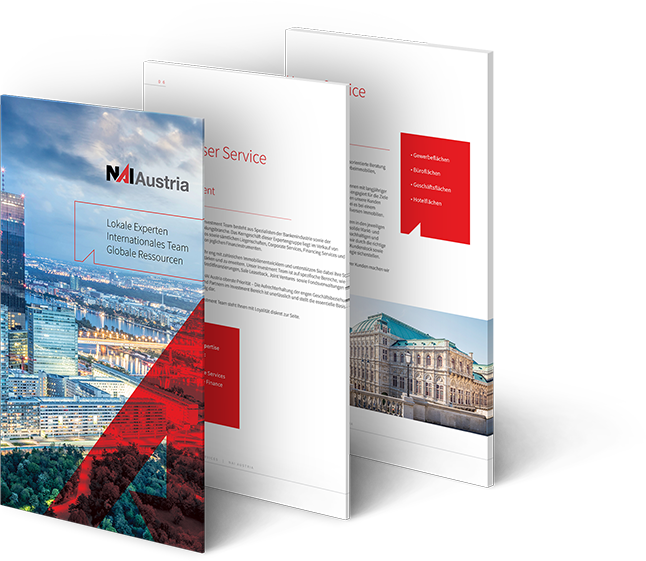 His first international work experiences were gained in North America, before turning to work in estate brokerage which, in turn, helped him build an excellent network in Austria. He was able to develop an extensive expert knowledge of the retail property industry which he now plans to apply globally, based on his experiences. At NAI Austria, Matthias Schiel is responsible for global corporate service. Marlene Arnberger was an executive assistant in an Austrian bank and worked in direct customer services. After 3 years of experience in the banking sector, she changed tack and the publishing and communications graduate began working in the property industry, opting for a position as an assistant to the broker team of a prominent real estate agency, where she was responsible for customer service of commercial properties and the processing of sales documents. 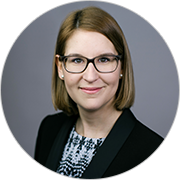 As Head of Office at NAI Austria, she is responsible for customer service and ensuring all office procedures run smoothly and efficiently. NAI Global has more than 400 offices strategically located throughout North America, Latin America, Europe, Africa and Asia Pacific, with over 7,000 local market professionals, managing in excess of 425 million square feet of property. Annually, NAI Global completes in excess of $20 billion in commercial real estate transactions throughout the world.